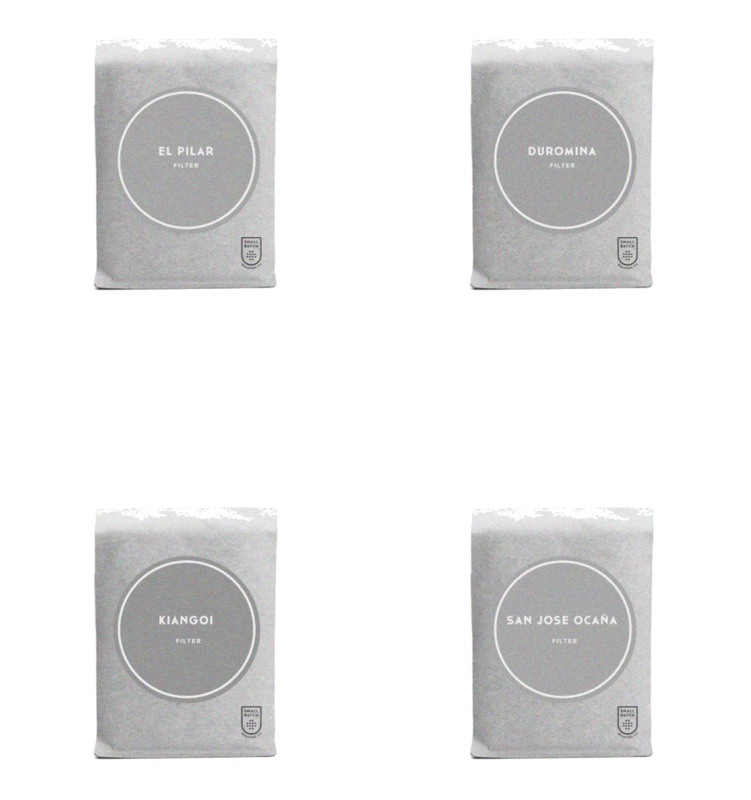 Filter Sampler | Small Batch Roasting Co.
We are very proud of the work that our producer partners, roasters, and quality control team do here at Small Batch, and we want you to be able to celebrate all that hard work with us. It’s not often that you get to sample and compare a group of exceptional coffees side by side. 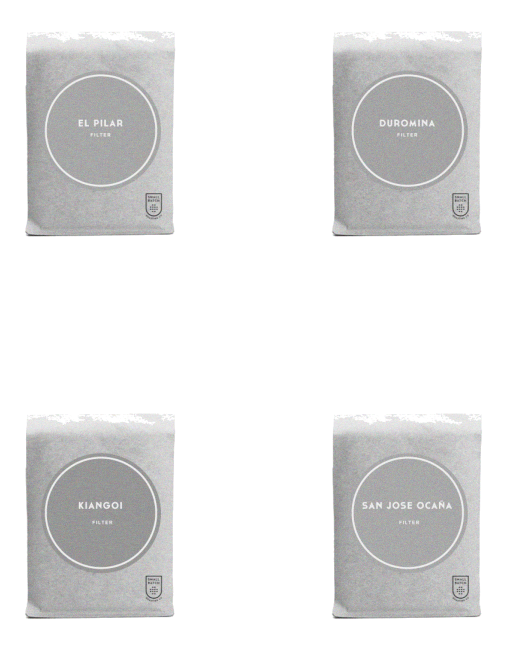 This pack, which will contain 4 x 100g samples of filter coffees we will carefully select for you will allow you to taste and compare a great range of flavours. 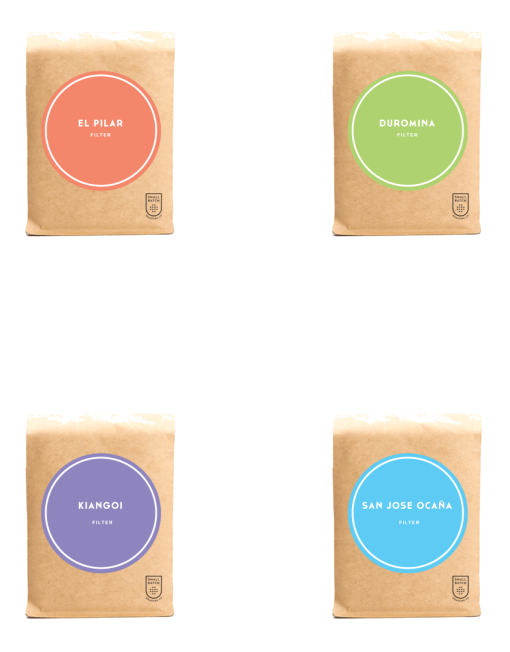 If you are looking for a gift for a coffee obsessed individual, a way to sample what we have to offer before you undoubtedly buy more, or you like to spice up your life with a bit of variety this is what you want and need. 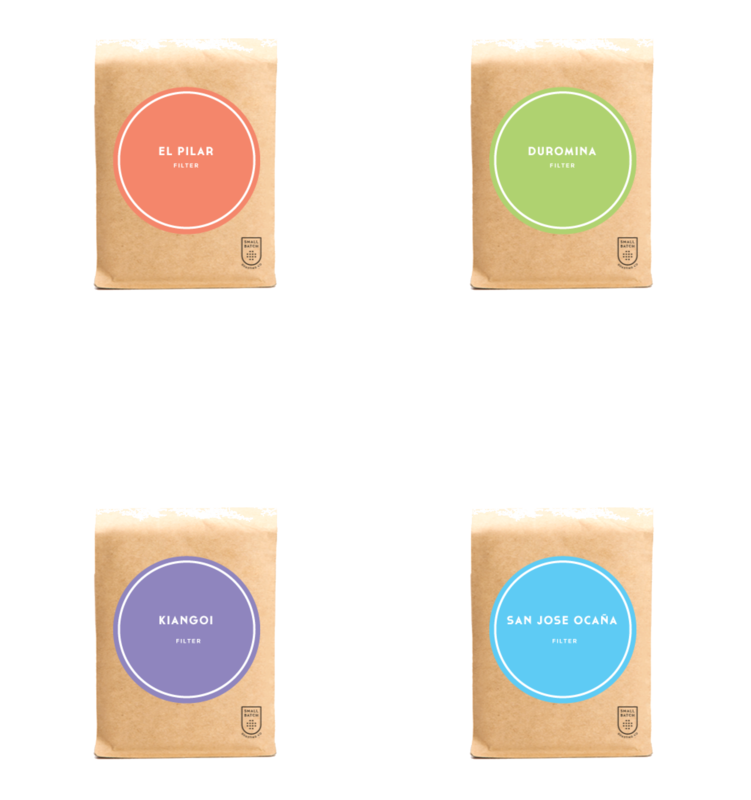 For more info on brewing your coffee for maximum enjoyment, check out the Brew Methods page.Whole beans only. Roasted for filter brewing.